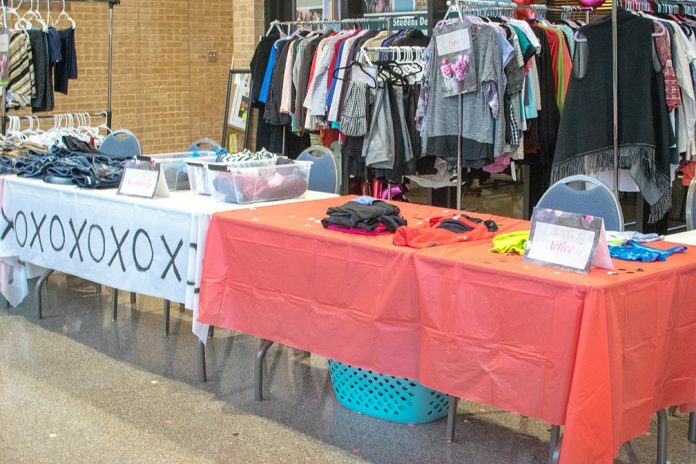 The Big Heart Bazaar put together by NE career services and the NE communication, arts, and entertainment division on Feb. 14 was deemed a success. The clothing drive and pop-up closet sale served 120 students, received over 1,000 donated items and raised $370. “I am grateful to the generosity of our division family, as well as many employees across campus that contributed to the wonderful success of our clothing sale,” said Linda Quinn, NE communication, arts and entertainment dean. More than 80 students volunteered, including club representatives from drama, radio/TV/broadcast, dance and speech. NE student Mason Bennett volunteered for the event through his speech class. The future clothing closet is still in the works, but once a location is secured they will need additional donations and volunteers. “I think this event is a great indication that our future clothing closet will be a successful student support service for our campus,” Quinn said.